Next trip: July 23–27, 2019. Cost: From 8,930 RMB*, all-inclusive. 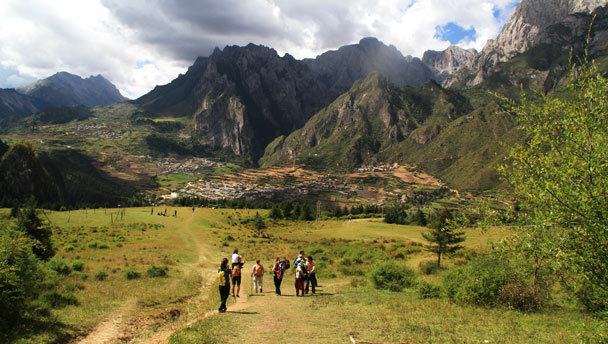 Hiking in the mountains near Zhagana, Gansu Province. On this five-day adventure we’ll make a 900 km road trip through the mountains of the Gannan Tibetan Autonomous Prefecture in Gansu Province, visiting Buddhist monasteries and temples, and hiking up into the hills and mountains that surround small villages. 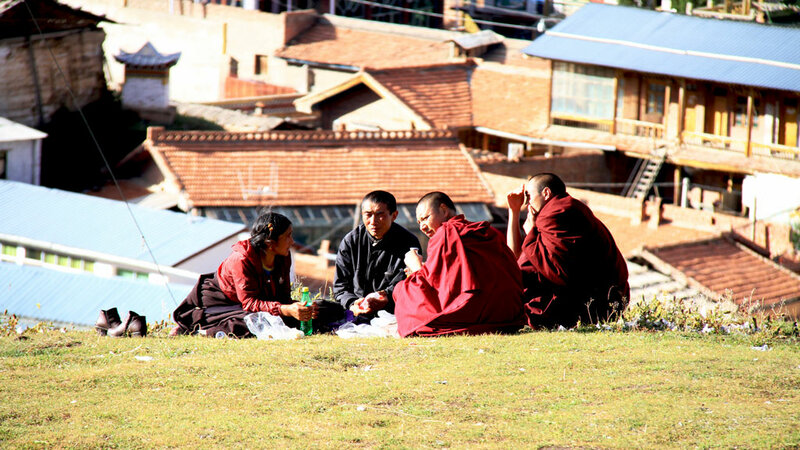 Of the a population of roughly 690,000, around 51% are Tibetan. Our trip will take us through four of the counties of Gannan, including Hezuo, the regional capital, and the lightly populated and mountainous Luqu County. As well as a being the site of a long history of Tibetan culture, Gannan also featured in more recent history, with the Lazikou Pass and the Zoige Marsh the last two major obstacles faced by the First Red Army on their Long March to Shaanxi. 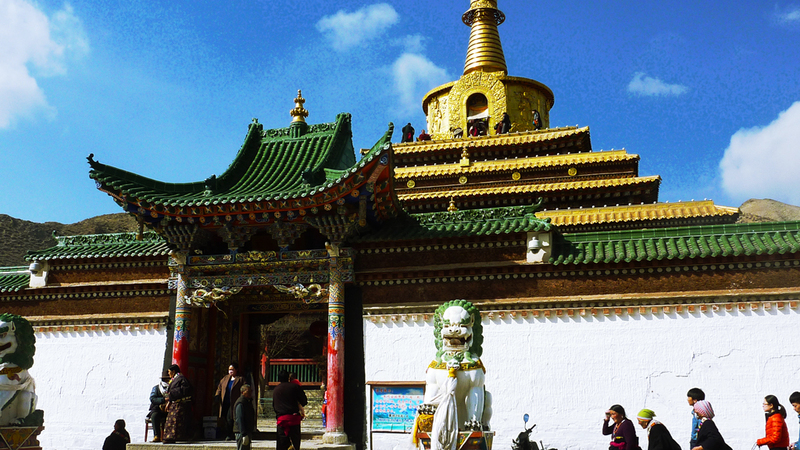 Fly to Lanzhou, board SUVs and drive to Xiahe, visit Labrang Monastery. Drive to Langmusi, stopping for a hike on the way; tour Langmusi and Langmu Temple. At altitudes between 3,000-3,800m. Hiking in the Zhagana area, peaking at approx. 3,650m. Second hike in the Zhagana area; drive to Hezuo, stopping for a hike on the way. 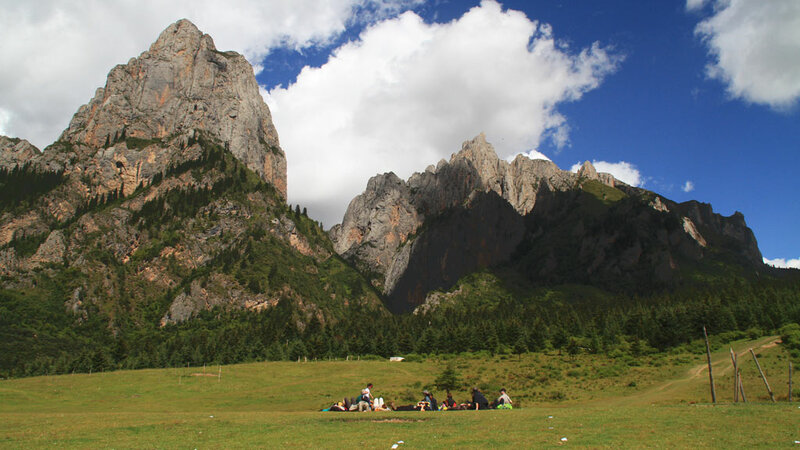 Drive to Lanzhou, stopping for a hike on the way. Fly back to Beijing. 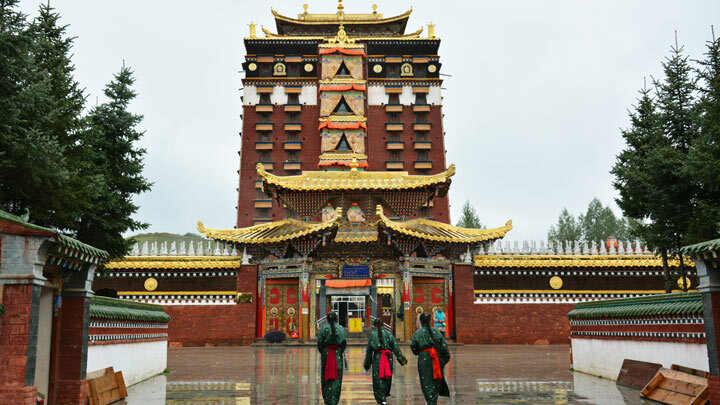 The major sights on the trip are the Buddhist monasteries and temples at Xiahe and Langmusi, inhabited by practicing monks of the Gelupa (Yellow Hat) sect and visited by pilgrims from rural areas of Gannan. 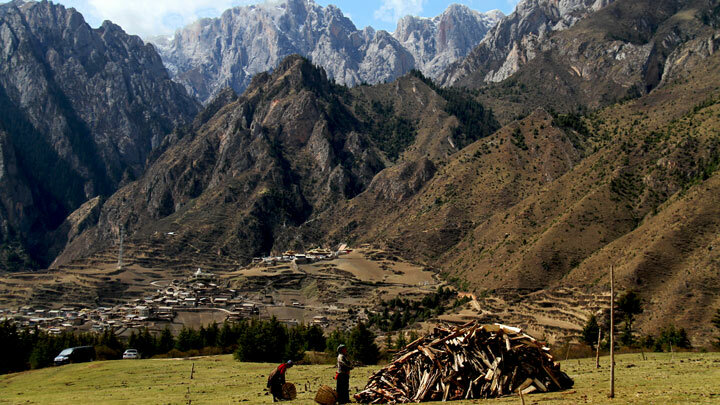 ‘Labrang’ roughly translates as ‘home of a great lama’. 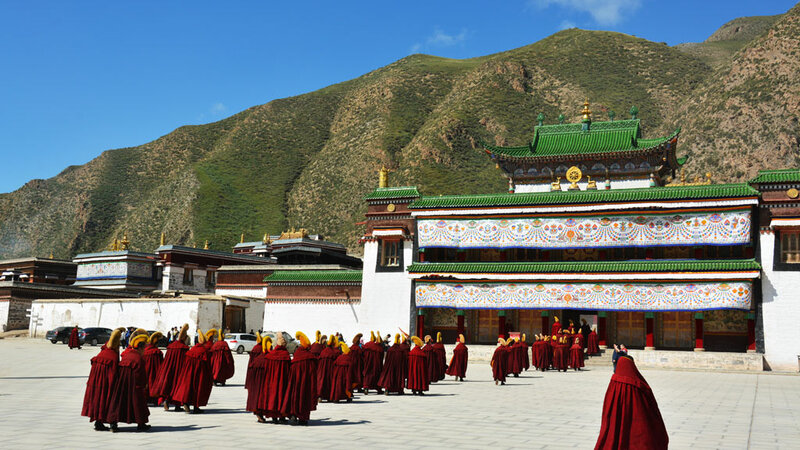 Founded in 1709, Labrang Monastery is considered to be Tibetan Buddhism’s most important monastery town outside of Tibet, and currently is home to around 1,500 monks and novices. 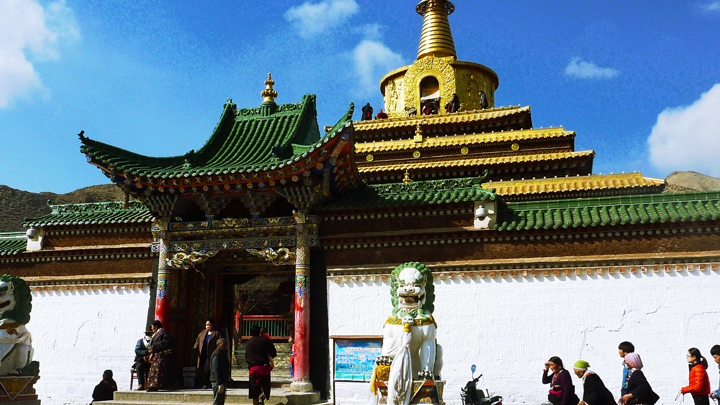 At its peak in 1957, the monastery housed around 4,000 monks. 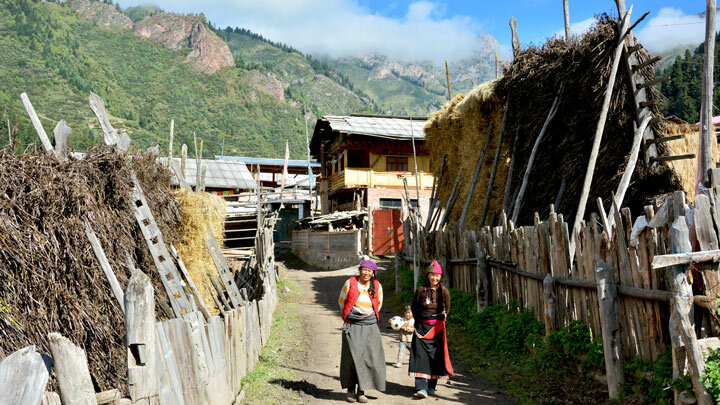 Since the early 20th century the town has seen a lot of troubles, with some very gruesome sackings at the hands of the Hui warlords who controlled the area from 1910-1949, and then complete closure of the monastery in 1958 during the Cultural Revolution. 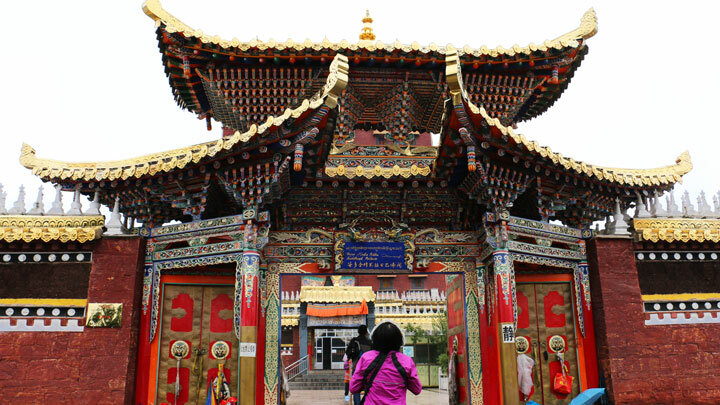 The monastery was reopened for tourism in the 1970s and became a functioning monastery again in the 1980s. The main assembly hall burned down in 1985, and repairs were not finished until 1990. This active monastery is well worth a visit, with a great chance of spotting monks engaging in prayer or rowdy debate on interpretation of Buddhist scripture. Langmusi is a small town that sits right on the border of Gansu and Sichuan. 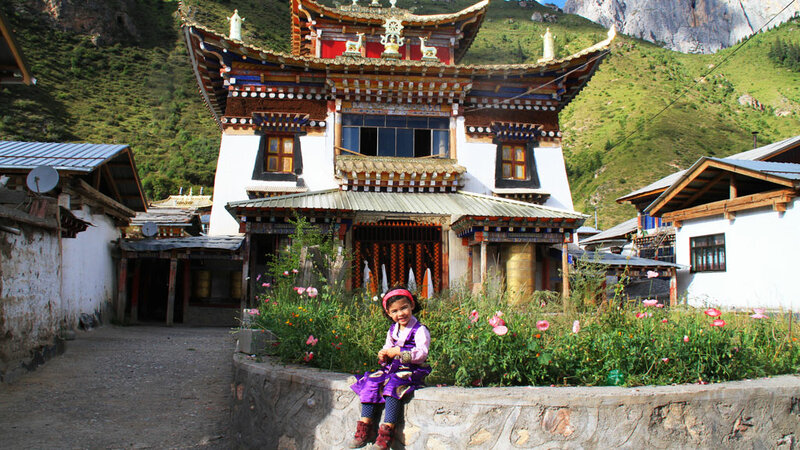 The temple on the Gansu side is called Setri Gompa, with the Kirti Gompa temple on the Sichuan side. 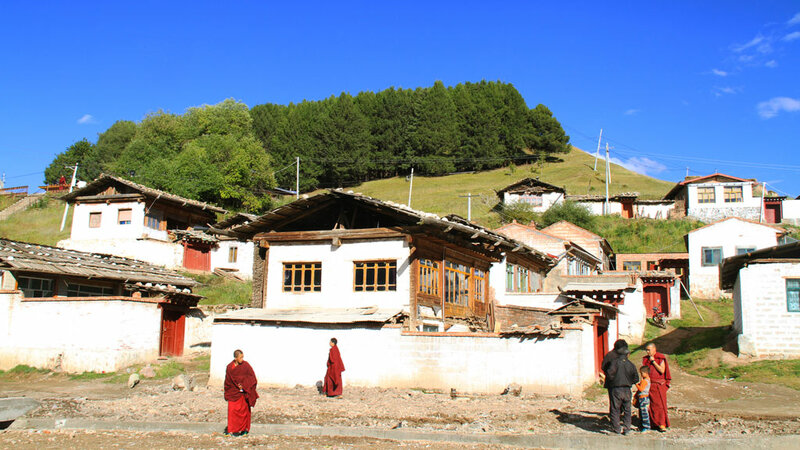 As with Labrang Monastery, these two temples are active, and in the streets of the town we’ll spot monks and novices, as well as pilgrims from the surrounding countryside. 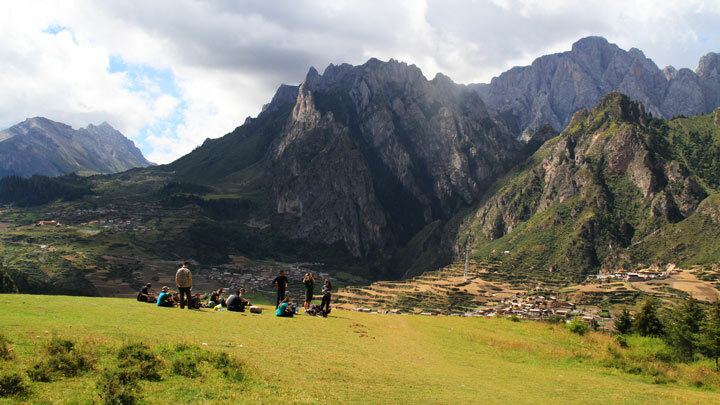 On the trip we’ll have time for quite a bit of hiking, and in such a picturesque and mountainous area we’re going to take the opportunity to do as much hiking as we can! On the second day of the trip we’ll hike for a few hours in the mountains near Xiahe. 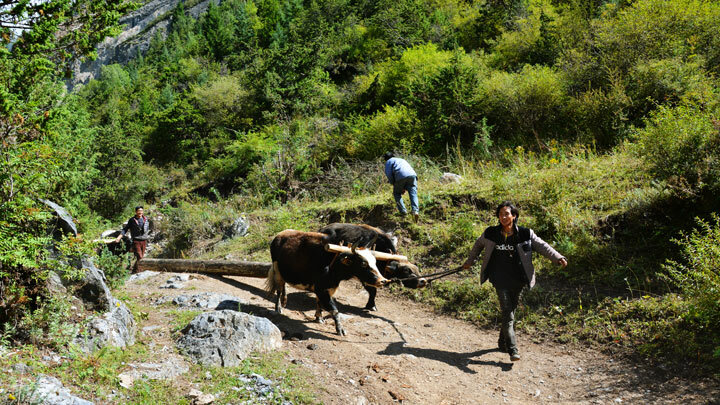 In Beijing we’d rate it as somewhere around Level 3, but at around 2,600m above sea level it may feel a little tougher. 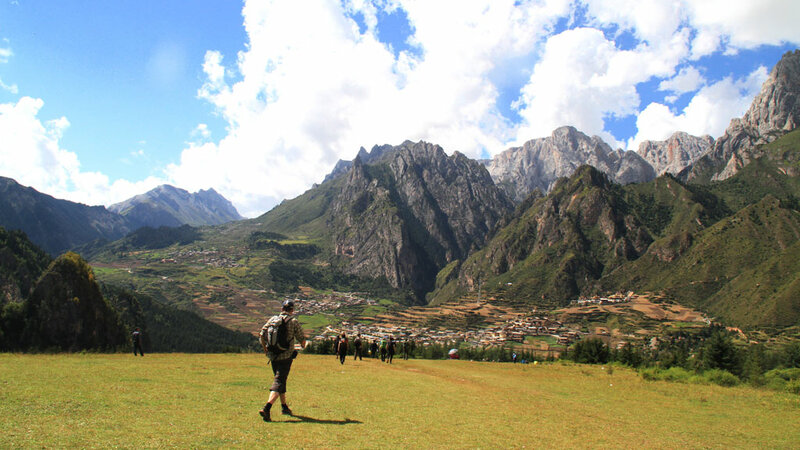 The third day of the trip is a big hiking day, with a five-hour walk up a canyon to a broad plateau sited somewhere around 3,000m above sea level - amazing views of mountains and steep crags and cliffs, with the chance of bumping into locals taking their yaks up to graze. This hike is a solid Level 4 on our scale of difficulty. We add more walking about on the fourth and fifth days, exploring villages and hills on the long road back to Lanzhou. Temperatures in the mountains are cool. Expect highs of around 20°C and lows of around 3°C. It could get colder! There’s a small chance of rain, so bring a waterproof jacket just in case. 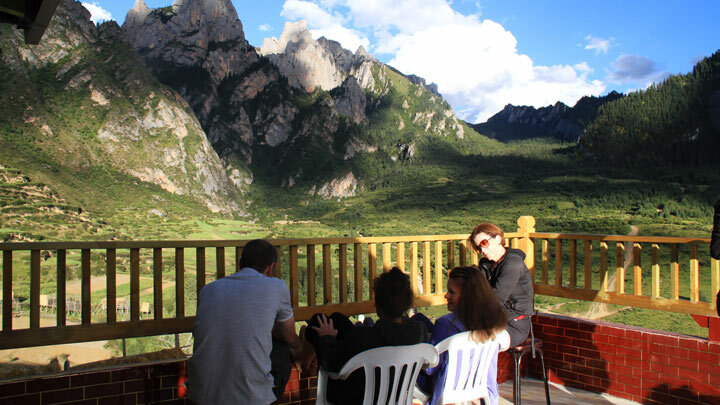 In Xiahe, Langmusi, and Hezuo we'll stay in nice local hotels. In Zhagana we’ll stay at a comfortable guesthouse. You’ll be sharing a room with another hiker. If you'd like a guesthouse/hotel room to yourself for the trip, it can be arranged at an extra cost of 600 RMB in total, if rooms are available—usually not a problem! We fly to and from Lanzhou for this trip. Land transportation will be via big and comfortable SUVs. 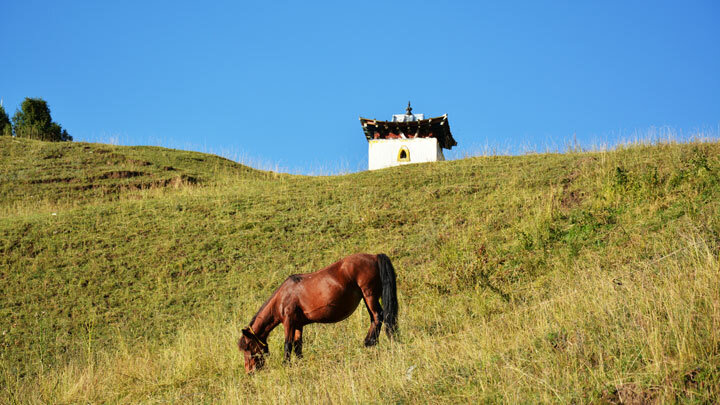 Photos from a 5-day trip through the mountains of the Gannan Tibetan prefecture in Gansu Province. 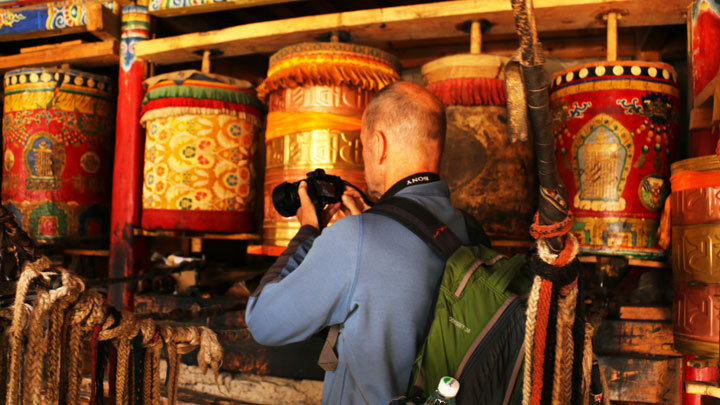 See more than 100 interesting photos from the Tibetan end of Gansu Province, taken on one of our new Explore China trips.